For sheer dramatic wild beauty, the Northumberland coast takes some topping. The wind-buffetted beaches along this unspoilt stretch of the North East seem to go on forever. With plenty of wildlife, dune fauna and the boundless, shimmering blue of the perma-choppy North Sea, there couldn't be a more fitting setting for a spot of back-to-basics camping. Introducing Hemscott Hill Farm – a pop-up campsite nestled in the undulating dunes that rise and fall along the fringe of seven-mile-long Druridge Bay. Combining the thrill of totally off-grid camping with epic coastal views and a few basic facilities to smooth out the rough of the wild camping experience, this marram-dotted landscape is an utter joy. 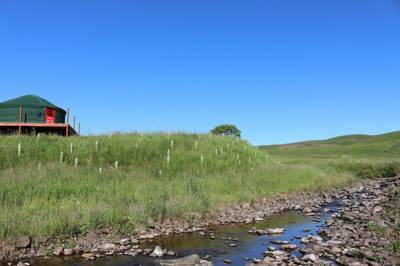 What meagre facilities exist for campers are basic but perfectly clean and functional – there are compost loos, a washing-up and kitchen shelter – while the eco-friendly, gas-powered showers are hot only if you're lucky, and free of charge. The walk to the nearby farmyard takes you through the evolution of the dunes; from the sand, sea sponge and spiky marram grass near the beach, through to thicker vegetation and then onto the meadows of the farm (geography students take note!). 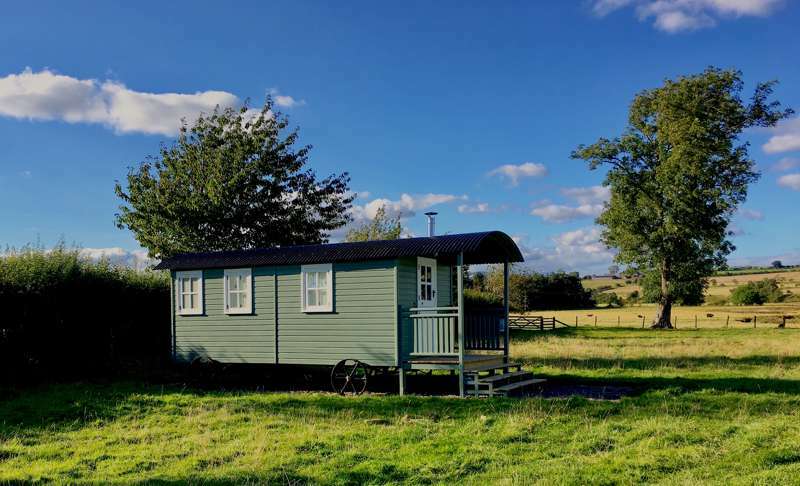 Affable host Alison runs the farm alongside the campsite and also offers a shepherd's hut in one of the meadows (pre-pitched and furnished bell tents can also be hired ready for your arrival). And while, across Hemscott's many acres, there is ample open space for guests to savour the great outdoors, there's also an intimacy here that belies the farm's proximity to the sprawling peaks and valleys of the Northumberland National Park. If anywhere deserves the accolade 'a walker's paradise', it's not the national park, but right here on the Northumberland coast. Venture in any direction from Hemscott for countless spectacular strolls; from the fossil-strewn beach at Hauxley, to the many ancient castles that dot the northern stretch (Northumberland has more than any other county in England). Hemscott is also on a number of national and tourist cycle routes. And as dusk descends, stoke up the campfire and enjoy the dazzling sunsets as they yield to the twinkling light of infinite stars under the UK's darkest night skies. 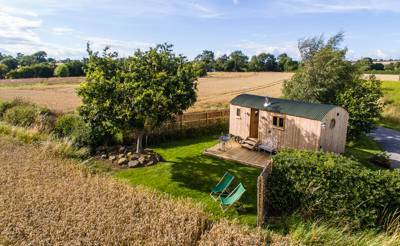 Off-grid facilities include compost loos, washing up sheds and cold showers in the field. Campfires and BBQs welcome as long as they are in fire pits or raised off the ground. Easy access to the miles of golden sands stretching from the two beaches at Amble in the north to Cresswell Beach in the south. Explore this 7-mile stretch of Druridge Bay Country Park via the Northumberland Coast Path. The farm is also on the stunning Coast & Castles National Cycle Route No. 1. Small on gradient but big on scenery, heading north, this easily rideable path takes in Warkworth Castle (01665 711423), Bamburgh Castle (01668 214515) the Dunstanburgh Castle (01665 576231). You can hire bikes from Breeze Bikes (01665 710323) in Amble. The coastline's big draw is the hauntingly beautiful Holy Island of Lindisfarne (be sure to check the crossing times) but for the lesser visited but no less impressive Coquet Island is well worth a look. While you cannot land on this RSPB-managed seabird colony, you can marvel at the thousands of puffins, terns, and eider ducks that call it home. The Widdrington Inn (01670 760260) and The Plough (01670 860 340) in Ellington are a pair of decent locals boasting a changing ales selection and hearty pub grub. For tasty home-baked treats, it’s a ¾-mile stroll to The Drift Café (01670 861599) in the dunes outside Cresswell. It’s also a second hand book shop. The small fishing town of Amble (7 miles away) hosts a number of up and coming restaurants including The Old Boathouse, La Famiglia (01665 711862), Fat Mermaid (01665 712111) and Seasalt – plus superb ice cream at Spurreli. Directions from the A1 (North and South): Leave the A1 at Chevington Moor/Widdrington exit (if travelling North it is shortly after Earsdon, if South it is after Weldon Bridge turn off). Follow the road to Chevington Moor and go straight over the crossroad. Follow this road for a few miles until you get to the roundabout at Widdrington Village. Go straight across the roundabout towards Druridge village. After about 2 miles the road reaches Druridge Bay National Trust Car Park and bends sharply to the right, follow the road and after ½ mile you will reach Hemscott Hill. You will be advised where to park and check in when you received your booking pack. Buses run to Widdrington Village from Newcastle, Morpeth, Berwick and Alnwick, hourly. The bus stop is just over 2 miles from the farm. Limited train service to Widdrington Railway Station. Morpeth and Alnmouth train stations are about 12 miles away. If you are coming by public transport the owners will try to collect you depending on time of arrival. 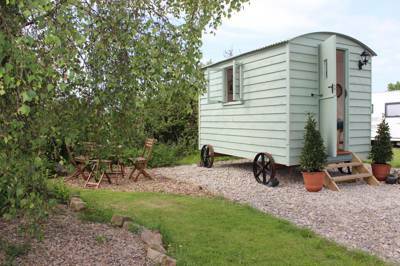 40 pitches in two areas of the dunes along a 7-mile stretch of beach, plus a shepherd’s hut at the farm. Furnished bell tents can also be hired.